State Department spokeswoman says Washington hasn't yet decided how it would vote on UN resolution for Israel-PA peace. 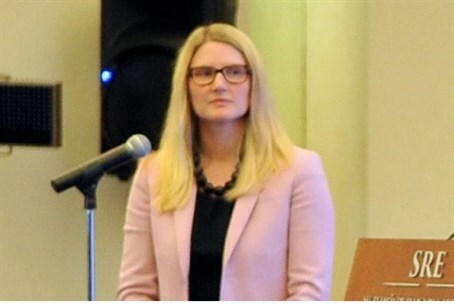 Harf was asked in her daily briefing about comments made by Palestinian Authority (PA) Prime Minister Rami Hamdallah in an interview with The Washington Post. In that interview, Hamdallah said the French resolution was drafted in coordination with the United States, hinting Washington would not veto such a resolution. “We’ve made no decisions with respect to action at the UN, and certainly not on a hypothetical resolution,” she replied. “We are carefully considering our future engagement at the UN if and when we reach that point to determine how to most effectively advance the objective I think we all share for a negotiated two-state solution. So we’re continuing to work with our partners, including the French. But at this point, again, no decisions have been made with respect to action at the UN,” stressed Harf. Following the establishment of the new Israeli government there have been indications that the international community intends to pressure Israel and the PA to resume talks on a “two-state solution”. New Zealand recently indicated it is working on the new resolution to revive the long-stalled peace talks. As well, the European Union’s (EU) Foreign Policy Chief, Federica Mogherini, visited Israel recently in an attempt to persuade the sides to resume talks. The PA breached the conditions of the last round of peace talks when it requested to join 15 international agencies.